Download game Mount & Blade: Warband - Viking Conquest Reforged Edition right now! From the creators of the popular “Brytenwalda” mod, “Viking Conquest” is a brand new DLC for Mount & Blade Warband! This single and multi player DLC brings Mount & Blade to historical Dark Age Britain, complemented by authentic scenes and cultures. The DLC features a story mode with a complex plot, where choices have real consequences, as well as a standard sandbox mode in an all new setting, with expanded options and controls. Online battling also takes on its own flavour, with special modes like Coastal Assault and Warlord. Living world that evolves around you, with historical and random events, as well as the actions of the player all contributing. More than 300 new cities, castles, villages and special scenes to discover, explore, conquer and plunder. More than 200 historical characters and 100 extra NPCs: Kings, Lords, Ladies, bards, priests and many others. Meet legendary figures like Ivar the Boneless or his bother Sigurd Snake-in-the-Eye, royalty like Harald, later known as FairHair, or Aelfred of Wessex. 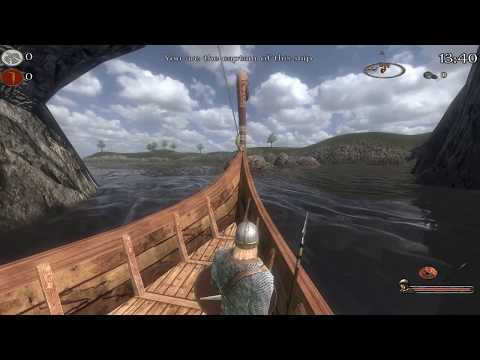 A story mode where the player will be part of a complex plot involving political conspiracy, during the time the sons of Ragnar were leading their Great Heathen Army through Britain. An immersive game style with choice and consequence, romance, betrayal, moments of greatness and ruin. A sandbox mode, the classic Mount&Blade system, where goals are determined by the player, but with all the richness and options offered by the new setting. More than 15 possible companions, with deep interaction and different personalities. Sometimes their conflicts will force you to use cunning and diplomacy. A complex religion system with two faiths, The Norse Gods and Christianity, with monasteries, special NPCs and parties. Religion will be a important factor in the game that will affect the player's interactions even within their own party. Naval travel and warfare, a key feature to really make the setting complete. Battles can range from simple robbery to massive naval conflicts between huge fleets laden with warriors, all in dynamic battles where you can pilot your own boat, adjusting for factors such as wind, waves, and weather. Detailed siege warfare system, with options to reduce a defender by hunger or morale, or by direct assault. With hard choices, plagues and famines, coastal assaults. OS: OS X version Mavericks 10.9, or later.